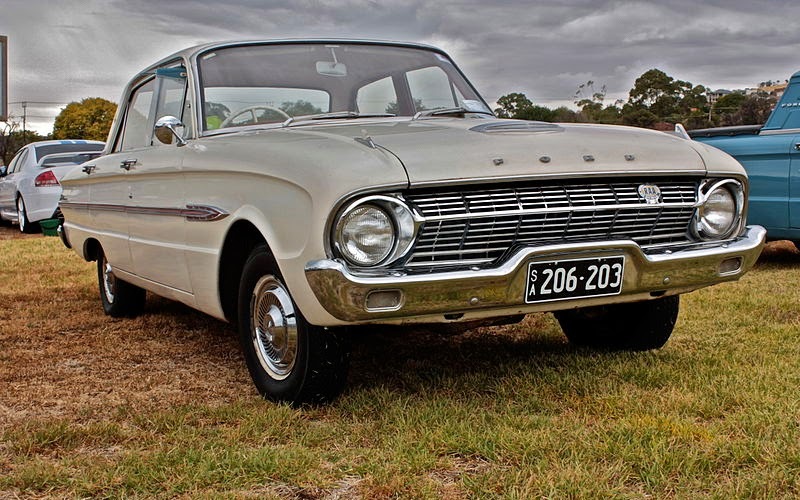 170 cu in (2.8 L) Straight-6 OHV "Pursuit 170"
The Ford XL Falcon is an automobile which was produced by Ford Australia from August 1962 to February 1964. 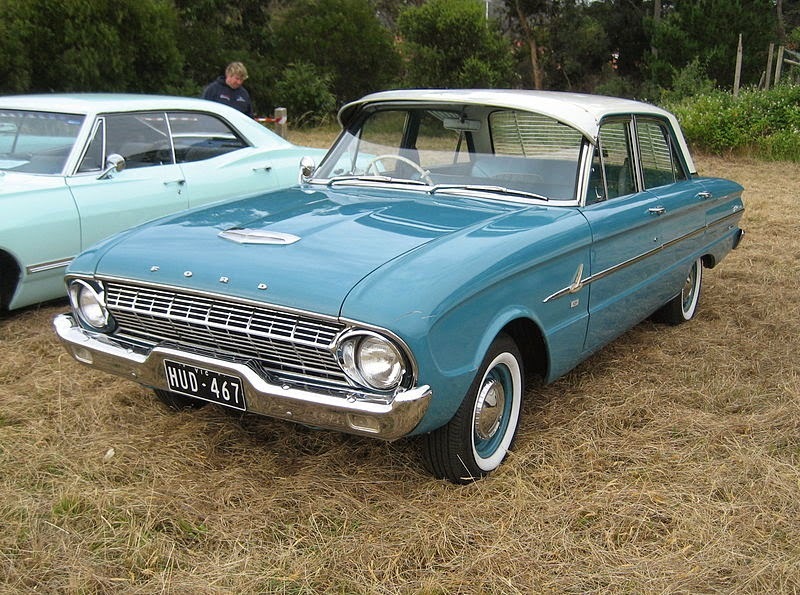 The XL Falcon was introduced in August 1962, replacing the XK Falcon which had been in production since 1960. Visual changes from the XK included a new convex grille, bumper mounted park/turn lights, new taillights, and a revised, squared off roofline (on the sedans) which was promoted as the “Thunderbird roofline”. Other changes included a new gearbox, new clutch, new starter motor, new air cleaner, new suspension system and a new carburettor. The luxury Futura Sedan and Squire Wagon models were new for the XL series, the latter featuring simulated woodgrain side and rear panels. The standard 144-cubic-inch (2.4-litre) 6-cylinder engine was supplemented by an optional 170-cubic-inch (2.8-litre) 6-cylinder “Pursuit 170” engine introduced in October 1962. A three-speed manual gearbox was standard, with a two-speed ”Fordomatic” automatic transmission available as an option. 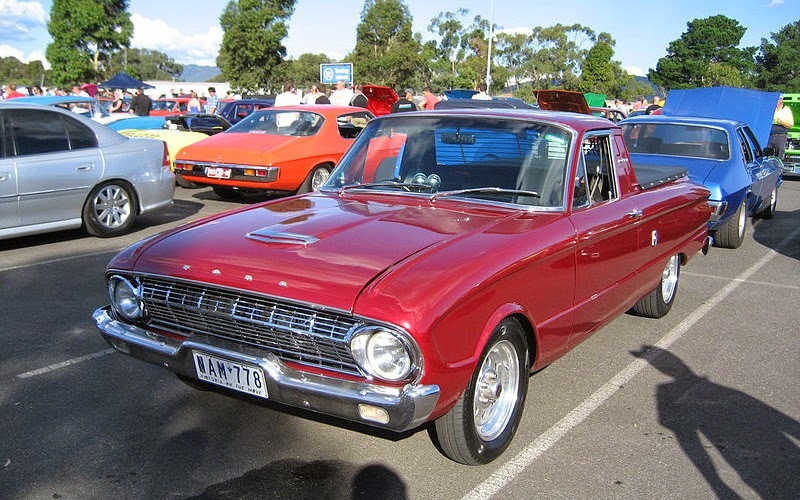 The XL Falcon was replaced by the XM Falcon in February 1964, production having totaled 75,765 units. An XL Falcon driven by Bob Jane and Harry Firth was “first across the line” in the 1962 Armstrong 500, a production car endurance race which was the forerunner of the Bathurst 1000 event. Last updated on 26 August 2014 at 05:18.